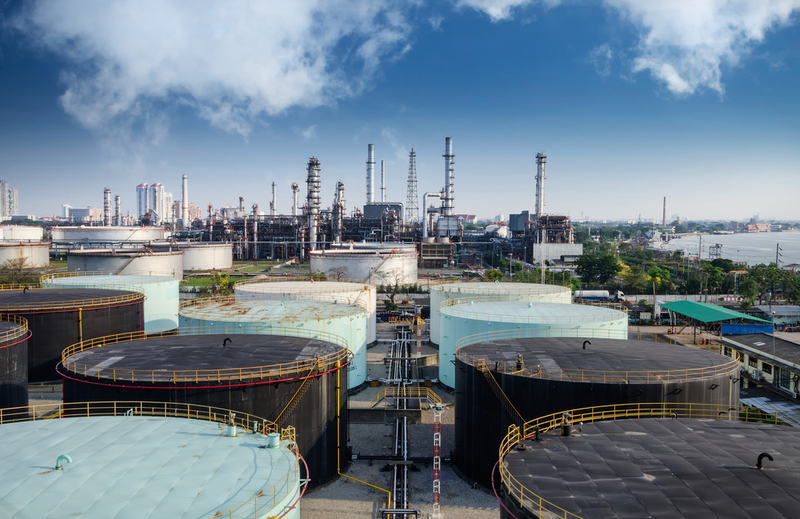 By offering customers complete control over the commodity trade life cycle, Gravitate Refined Products has set the standard as the new best practice for collaboration between commodity trading companies and clients. 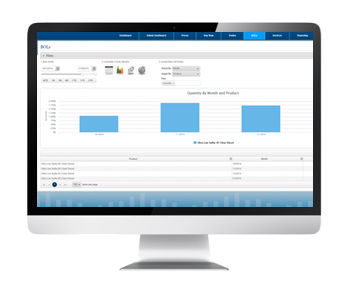 The customizable CTRM portal’s user interface delivers dashboards, real-time prices and trade execution while providing quick access to prices, contract data, bills of lading and invoices. 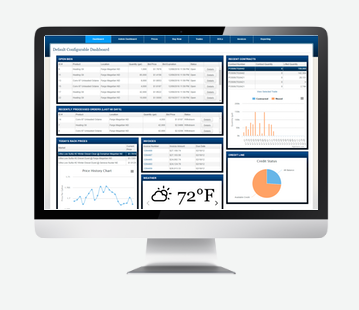 Gravitate Refined Product’s configurable dashboard allows customers to easily view transactional information through several customizable widgets. The CTRM portal can be customized with commodity-specific configurations and will instantly provide essential business intelligence to customers. Gravitate delivers daily prices to customers with automated emails that drive traffic to your corporate-branded CTRM portal. Posted prices and real-time prices are easily accessible for customers to conveniently order and sell commodities online. Interactive charts show current and historical prices. 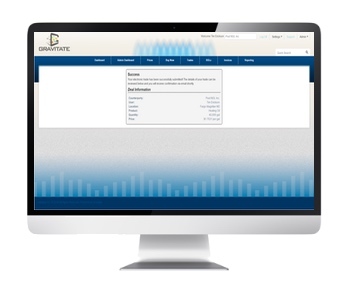 Instant access to research pricing and invoice discrepancies for customers. Real-time pricing that is calculated with futures or swap prices. Price differentials can be based on product, location and trading period. Automated alerts for deal approval and customer confirmation. Deal API sends the order to your trading system. Customers can easily access their contract, BoL and invoice details in a secure environment. They can download PDFs of this critical information or access interactive charts of the data. Gravitate’s virtual file cabinet empowers customers to access the information they need. Notification emails automatically distribute confirmations, BoLs and invoices. Automated alerts for customers to download and pay invoices. Alerts and reminders for customers with late invoices or short contract volume requirements. The Gravitate notification system can trigger event- and time-based alerts to be sent directly to users via an email protocol. The notifications are configurable and customers can adjust the frequency at their own discretion. To help automate workflow processes, Gravitate comes with out-of-the-box notifications and alerts. Gravitate customers may create customized alerts for their specific business processes. Notifications can be configured at the customer and user levels. Provide your customers with automated end-of-the-month summary charts and reports. Alert emails drive customers to your portal to order product, download invoices and view product deliveries. Web-based efficiency. Rapid adoption with minimal end-user training required. Reduction in manual processes. Integration with core back-end systems, such as RightAngle and Allegro, ensures that the latest data is available without re-keying. Increased transactional transparency. Latest positions and trade information available in real-time, around the globe. Reduced client-support costs. Self-service customer portal allows clients to instantly access trade details without the need for costly support staff. Need to optimize your commodities business?